Glaucoma is a group of eye diseases that lead to damage of the optic nerve and in some cases to severe vision loss, if undetected. Once optic nerve damage and vision loss occur, it is permanent. If left untreated, glaucoma can lead to blindness in the affected eye. Unfortunately, chronic glaucoma, the most common form, usually has no obvious symptoms until the disease has reached a significant stage. 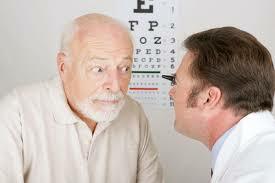 People who have family history of glaucoma, past injury to the eye or take steroids are at risk for glaucoma. Regular eye examinations are the best way to detect it: your ophthalmologist will measure your eye pressure, evaluate your optic nerve and test your visual field. However, there are a few signs one may watch out for, and which may signal its onset. If the symptoms mentioned below are noticed, investigated and treated in time, it is possible to slow down and sometimes quell the progression of the disease. Severe pain in the affected eye is a typical symptom of glaucoma. The eye begins to ache and suddenly the unprecedented pain can be seriously incapacitating. Unlike the eye pain which entails a heaviness/throbbing behind the eyes, glaucoma causes the outer surface of the eye to ache. Rubbing or clutching the eye bay only irritate it further. Glaucoma-ridden eyes tend to get red with the whites becoming perceptibly discolored. Unlike the redness that occurs with fatigue or substance abuse, the redness will be present only in one eye. Also, the prominence of the red eye is exacerbated by the fact that even the rim of the eyelid becomes red, swollen and encrusted in most cases. Those with glaucoma will often develop unclear vision with a misty haze. This usually occurs suddenly and rubbing or washing the eye will unlikely provide much relief These bouts can last anywhere between a few minutes to a couple of hours. A lot of people with glaucoma complain of seeing “rainbow-like” halos when looking directly at light sources. Some describe it as seeing spots or having double vision. Many people with glaucoma tend to suffer from visual disturbances especially in low light. It may be hard to see objects exactly as they are, with lines and edges appearing wavy or distorted. Those with glaucoma tend to face a lot of discomfort in their eyes in ways unrelated to their vision. Apart from pain in their eyes, the area surrounding the eye also tends to get tender and aching. Eyes may get watery very often with excessive tearing occurring especially when eyes are under strain like when reading, and watching TV. Adjusting to dark or dimly lit rooms can be difficult at the same time as well-lighted spaces or sources of glare can be a challenge. Severe headaches accompanied by eye pain and blurred vision are the typical warning signs of glaucoma and should be handled as an emergency. 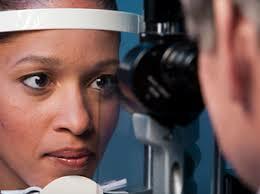 One of the warning signs of glaucoma is the loss of peripheral vision. Objects that are not in direct vision but adjacent to them begin to become blurry, unclear and eventually extremely hard to detect. All of the above mentioned symptoms eventually lead to gradual loss of vision. problems in viewing objects both near and far slowly develop and if left untreated may result in total blindness over the course of several years. If you should experience any of the symptoms listed above, see your opthalmologist as soon as possible to begin treatment if necessary and take proper care of your eyes.